Hi all and welcome to the beginning of the last weekend of our Advent Calendar, hope all your plans for this weekend go well and you have a little time to craft. I havn't managed to make a card this week and am having withdrawel symptons, must try to manage at least one card this weekend. There is no question set today as I am sure none of you will have much time to spend blogging so once again just leave a comment below this post and check back tomorrow to see if you have won todays fantastic gift from Katharina. Window 20 opens on my Charlotte and Her Reindeer card, hasn't that cute Reindeer got a proud look on his face. Katharinas kindness and generosity know no limits and today she has asked me to offer one person two stamps, so Window 20's gift is the awesomeWhiff of Joy Charlotte and her Reindeer Stamp and the Sheet of Winter Love Sentiments, so you will have new stamps already for next Christmas. Don't forget to check back tomorrow after 00.01 GMT to see if you have been lucky and also to find out what is hiding behind Window 21. Todays lucky winner of the Oakley in Bathtub stamp chosen by Random.Org is number - 148 - Heidi from Heimars World, congratulations Heidi can you e-mail us your address so we can get Oakley off to you as soon as possible. I really love this stamp! Gorgeous card. What a wonderful card. It really looks like they are flying. I'd love to win this stamp, so thanks for the chance. Another beautiful card! Thanks for sharing! I agree - the reindeer looks fabby!! How adorable! truly an inspiration!Thanks. Such a beautiful and elegant card. The images are so adorable!!! Really cute and beautiful Christmas card!!! Oh this is just so cute. Wouldn`t a girl love this card! What a cute image, and an adorable card! Another beauty, thank you for your generosity and this opportunity. The faces on both of them are adorable!!! Life IS busy for now, but it's always a delight to stop by and see a beautiful card! This card is just beautiful. I just love the colors and the stamps are just awesome. Thanks so much for a chance. How precious!! And I have no reindeer stamps, hmmmm. Love your work and check every day. Thanks! This card is so cute. Would love to win. Thanks for another opportunity. Krista P.
Thank you for the opportunity to win these stamps! The card is beautiful once again. Oh Katharina is too kind and generous! I would love to win both the Charlotte and the winter sentiments! :) Thanks for the chance to win Katharina! I love that card so much...it's adorable! wieder eine wunderschöne karte und toll coloriert! What a great christmassy card!! Wonderful card, I just love this little reindeer. How generous to offer it up as blog candy. Amazing card. love the depth the tree placement creates. These Christmassy stamps are just so lovely, Would love to have one, thanks for the chance to win. Very pretty card! Love that stamp! It's so adorable. What a fun way to wait for Christmas! It's like a present every day! What an adorable stamp! Great card, as always! LOVE this fun & creative card!! OMG I was so excited for a moment when I saw the winner for today was Heidi....... ugh! So lets give it another try. das rentier ist sooo süß!! tolle karte! Oh wow, what a beautiful card! wow what a beautiful card your're showing us. love the stamp into a beautiful background. you really have the feeling they're flying away from the card hihi. Once again.. what a beautiful Card..
What a perfectly gorgeous Christmas card. You've made that stamp come totally alive! I really love this stamp. What a gorgeous card! I love this stamp! How did you do the trees? Are they glittery? I LOVE how they look! This card is so adorable, thanks for showing!!! Oh what a lovely card!! This is a lovely card and so whimsical too. This is beautiful! My favorite card so far! Oh, aren't they cute :) Great card, Katharina! A fantastic card. The colours are so bright and the background is absolutely great. Adorable card and a fabulous stamp. Can you believe its one I don't have! Brilliant creation, reindeer is so cute. Have a great weekend! Oh, what a wonderful Card again!!! wieder eine so tolle Chance! Gorgeous card. Such a lovely stamp. I'm keeping my fingers crossed! I love this card, it's so lovely! Oh such a beautiful card! I love this card. Thanks again for the chance to win! I cant belive its day 20 where has the time gone. wow, was fpr eine schöne Karte, schmelz hier weg, und ein wunderschöner Stempel. Wow, die Karte ist der Hammer. Die hätte ich auch gerne im Briefkasten. Nur noch 4 Tage dann ist Weihnachten. what a very cute stamp!! This would be absolutely perfect for some cute cards next year. Got my fingers and toes crossed that perhaps this time my name will get picked!! Have a nice weekend - and SOON it will be Christmas! 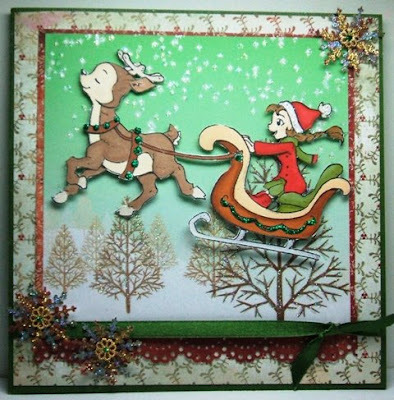 This card is just beautiful - I love the way you have used the trees to create the background. Eine wirklich tolle Karte. Das Motiv ist echt süß! Das ist auch wieder eine wunderschöne Karte. Hope everyone has had a relaxing day!! Gorgeous card, those snowflakes are stunning and so is the stamp. I've so much works to finish, and so little time... argh! oh isn't this a gorgeous stamp....would love to receive this stamp, and the card....it's too cute for words. Sweet christmascard and i love the stamp. The Reindeer is so cute!! This is one of my Fav winter WOJ stamps! What a beautifull card !! Wow what a truly gorgeous card, this image is adorable and coloured superbly, I would love to give these stamps a new home! Wie jeden Tag wieder eine wunderschöne Karte!! That card was just so cute! Have a nice weekend, the days are going so fast now! 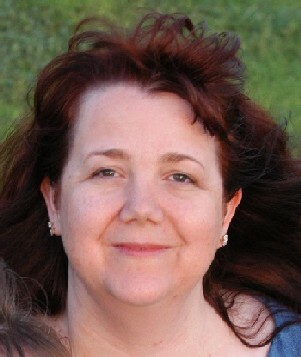 You are right I have been so busy I have had to skip a couple days of blogging! What a darling card! Love this stamp! Thanks for another great chance to win! Nice card =)! Really like it :)! Jacqui your card is just gorgeous I remember it!!!! Wonderful card yet again. Thanks for a chance to win!! What a beautiful card. Love the stamp. Thanks for all your inspiration. Wow,wieder so eine wundervolle Karte und das Motiv ist auch wieder total süß! Wünsche allen einen schönen 4.Advent! Huhu mein gewonnener Stempel ist vor drei Tagen bei mir eingetrudelt. Ich danke herzlich das wir die Chance erhalten einen schönen WoJ-Stempel in den Händen halten zu können. Die Karte und das Motiv sind bezaubernd. Wow! Two stamps! Very generous. Thank you for the chance. And once again beautiful card. Ein süßes Motiv auf einer wunderschönen Karte! Great card once again. Thanks for the chance to win. Such a cute and beautiful christmas card. I love this little reindeer. Thanks for the chance to win the stamps. What a gorgeous card I love the extra glitter glue touches. Mal wieder eine wundervolle Karte!!! The card is adorable! I would love to own that stamp! Auch diese Karte ist wieder wunderschön. Toll coloriert und zauberhaft gearbeitet!!! Oh, this stamp is just awesome! And what a stunning card! Thank you for sharing all of your cards. Such a beautiful card - again! Oh my goodness I have to say this one is my favortie by far. I so love it. Good luck everyone. That is a classic card, really nice. Gorgeous card, love that stamp!